The Optiflow high-tech pumping system is a further development of conventional pumping systems. With its flow optimised inlet and outlet for greater flow rate at constant wear it is right choise for excellent results. 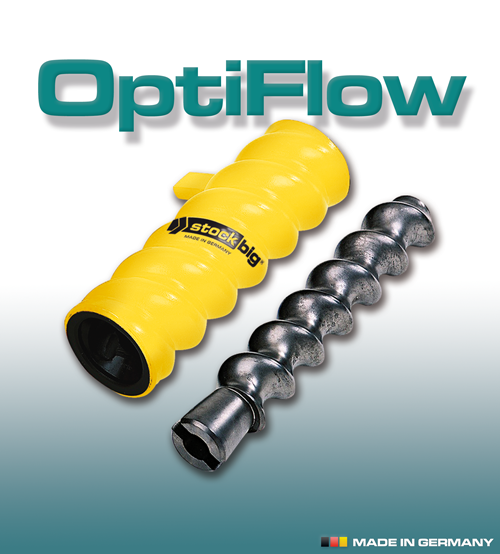 OptiFlow - the right choice exclusively from >stockbig® Germany.